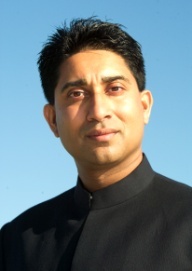 Holistic Bio Spa is happy to welcome our friend, Taron Puri who will talk about conscious aging: how to age gracefully and confidently embrace the journey ahead. As a 10-year-old, I often went to the nursing home where my mom worked and visited with Mrs. Hansen. She was a kind woman whose eyes lit up and smiled when I entered her room. She would immediately take my hand in hers and welcome me with a special ‘pet name’ that she had given to me. I remember spending what seemed like hours chatting and visiting with her and although I don’t recall the details of what we talked about, I knew from the gratitude in her eyes, and certainly the quarter she would often give to me (heh, I was 10), that my being there was meaningful for her. What I didn’t know at that time was that she was one of many elders who had been deemed obsolete, burdensome and an inconvenience to her family and thus institutionalized, much like our prisoners, for the rest of her life! A human left alone. And these are the Golden Years? As an immigrant, the culture I come from honors and respects our parents and considers it a blessing to have the opportunity to care for them, as did they for us when we were children. Certainly, caregiving requires time and commitment, however, how we experience it is more about attitude and perspective. Personally, placing an aging parent or elder in a nursing home is utterly unthinkable. Unless a parent needs on-going medical care and attention and for their own safety must be institutionalized, it is in the least our duty, and for me, more of a privilege, to care for my parents or other elders in need of care. Our elders are an invaluable resource, carrying with them a special brand of intelligence called Wisdom, which according to psychologists at the Max Planck Institute for Human Development in Berlin is “…an expertise that wraps information in the human context of life and relates it to generational and historical flow…” In simple terms, this means that being years ahead of us, an elder has insights and perspectives about life and its challenges which in turn become invaluable guides should we so call upon them. Yet too often, we neglect to draw on this wisdom, instead choosing a short-sighted, selfish route to living the life we want without the ‘inconvenience’ of caring for an elderly person. Sadly, we are a culture of denial. Our fear of, and ignorance about, death and dying have become so great that we treat aging as an incurable disease rather than a natural part of life and living. Despite its inevitability, we spend billions on plastic surgery in an attempt to mask all visible signs of aging and even more on medical research to extend our life spans and perhaps even find the fountain of youth. We have become drunk on the prospect of an eternal middle age and even resent it when one amongst us succumbs to aging – disenfranchising and relegating them quickly to nursing homes lest the disease spreads. Interestingly, in cultures which hold a positive view of aging with reverence for their elders, such as with the Chinese, studies show that their elders are productive, healthy and active, and have terrific long-term memories right to the end! This is significant as a study, done by psychologists Ellen Langer and Rebecca Levy of Harvard, showed that ‘the near universal expectation of memory loss brings that fate upon us…and that the …fear of aging is the single most powerful agent creating exactly what we fear!” Our futile and often harmful attempts to circumvent natural aging continue unabated, creating a massive industry feasting on the delusion of outwitting nature. The bottom line is that we are all growing old, and to deny this is folly. 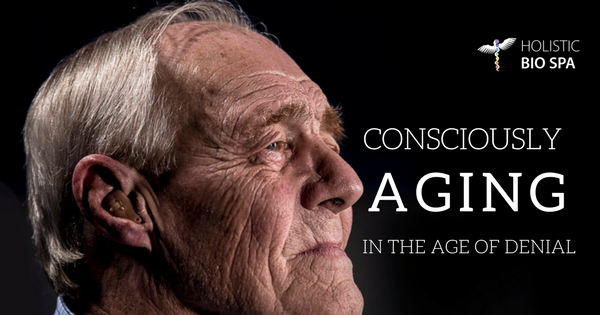 We must learn to daily practice conscious aging techniques to make the best of our situation. The bottom line is that we are all growing old, and to deny this is folly. By reframing your opinions and attitudes about aging from a negative to a positive, you create a healthy milieu within which to grow older, gracefully. Instead of investing time and energy fighting with the fact of aging, choose to invest in conscious aging: ensuring that you become a fully developed, a whole individual whose focus is on the quality rather than the quantity of life. And by investing in yourself through developing a positive and healthy attitude towards aging, you benefit both our elders as well as yourself, growing and enriching from their wisdom while developing your own. In the end, as you pass the threshold into the Golden Years, you can gracefully and wholeheartedly embrace the journey and know that since you valued those who went before you, you too will be valued as an honored elder. Former Immigration Judge Taron Puri, B.A., LL.B, is a Life Strategist specializing in Energy Management for Busy Professionals. His expertise is on how to ‘neutralize’ rather than ‘manage’ stress in the workplace as well as at home! Do you know someone who would benefit from learning to manage their energy and being more calm and peaceful? Contact us to reserve your spot for Taron’s upcoming course on energy management!